After hearing about it for months, I recently read the book “The Miracle Morning”. To say I was resistant to reading this book would be an understatement. I had heard about people’s transformations and how all successful people swear by their morning routines, but when you’ve been a night owl your whole life and the thought of doing anything in the morning makes you just want to go back to sleep, well, I think you get my resistance. But I did it. I finally read the book and let me just say, Wow. It’s amazing to me how such a simple concept can make such a difference in so many people’s lives. Even night owls like me. If you haven’t read the book, I highly suggest you do. It may just change your life. After reading the book, I created my own morning routine which I call my Magical Morning (because really, it’s magical that I can even wake up in the morning, let alone work on my self-improvement and it truly has impacted my life in a magical way). I immediately drink a tall glass of water. Meditation I wake up 20 minutes before my kiddos, to sit in silence and meditate. If you aren’t into meditation or are, but haven’t started yet, youtube guided meditations and just start. Affirmations I write down 2-3 daily affirmations to set the tone for the day. I change these up daily and also try to use affirmations that will help me be productive and work on my mindset. Some of my favorite affirmations are: “I am enough” “I am capable and hard-working. I can do whatever I set my mind to”. This usually only takes about 2 minutes. Visualization I love a good mood board and I create them all the time for different areas of my life. For visualization, I like to look at my mood board and really visualize myself living out my dreams and goals. I picture myself in my dream life and think about how I will feel, what I will see, and smell when I achieve these goals. I do this for about 5 minutes. Yoga I will then do a 15-20 minute yoga video from youtube. I am obsessed with yoga and feel amazing after moving and stretching my body. You could incorporate any type of movement that you really love. Read I love to read and always have an endless list of books I’m wanting to read so scheduling this time in every morning is truly a joy for me. I will usually read for about 10 minutes. Write Some days I will free write in my journal and other days I will write some draft blog posts. It really depends how I’m feeling that morning. I will usually write for 10-20 minutes or even longer when writing blog posts. After all of this, I will shower and have some warm water with lemon while I get ready. Then, I will have my coffee and a nice delicious breakfast (usually oatmeal and fresh berries or a green smoothie, depending on the day). Incorporating this new magical morning routine has had benefits I could have never imagined. I am much more focused throughout the day. My creativity comes with more ease and I am more productive than ever before. I’m genuinely in a much better mood each day that I incorporate all of the above. Like everything else in life, there are some mornings that I am unable to follow through with my magical morning or just simply choose to sleep a little longer and that is okay. Some days I dramatically cut down the time of each activity, but still get it in. Other days, it just does not happen. The more you do it and make it a habit the more you will want to do it and not much with deter you. This isn’t another thing to add to your to do list. It’s a way of being and improving yourself and your life. What do you think? Are you ready to create your magical morning? 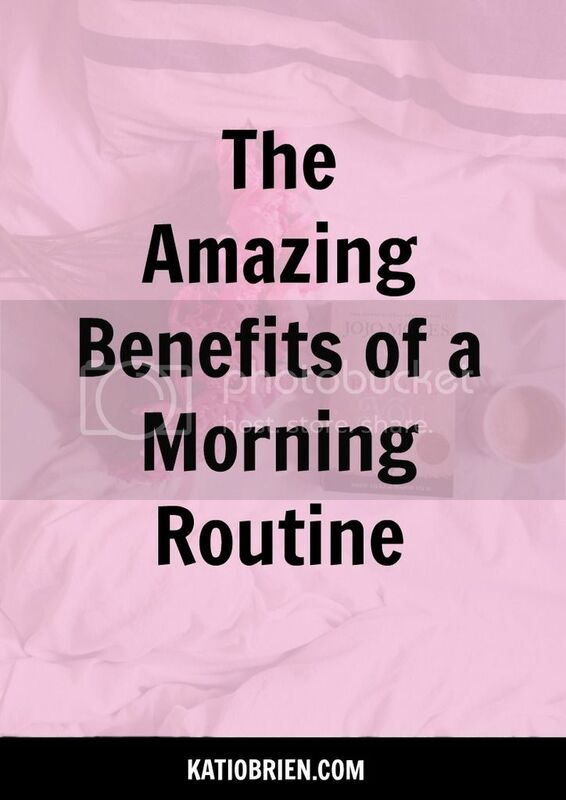 Do you already have a morning routine you love? I’d love to hear all about it.